Jeremy Robertson's custom El Patron flipper is hand-made and designed to withstand extreme conditions while providing the utmost comfort and functionality. 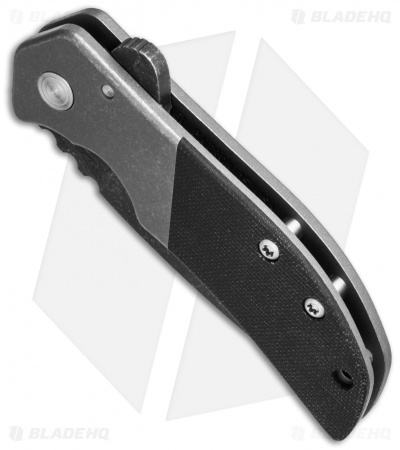 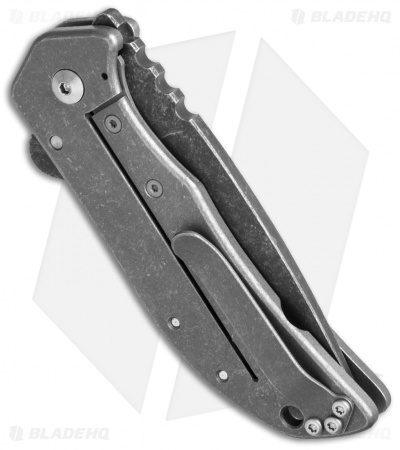 It has an open-built 6Al4V titanium handle with flat 5/32" thick slabs and a black Micarta front scale. The PD1 steel blade is convex ground and rides on a ball-bearing pivot assembly. 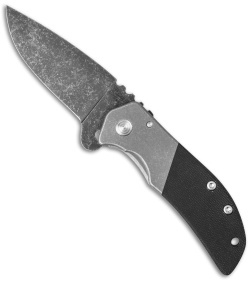 This model has an acid washed blade, handle and pocket clip.